EAW033449 ENGLAND (1950). The Stanley Tool Works on Rutland Road and environs, Sheffield, 1950. This image was marked by Aerofilms Ltd for photo editing. 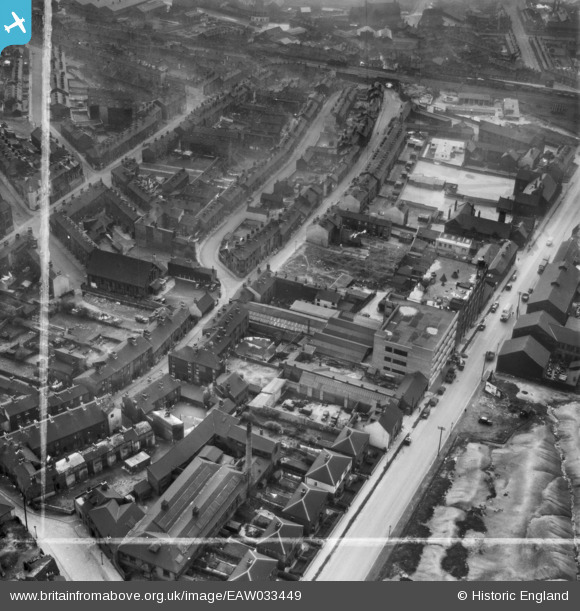 Pennawd [EAW033449] The Stanley Tool Works on Rutland Road and environs, Sheffield, 1950. This image was marked by Aerofilms Ltd for photo editing. Guards Rest PH Marshall St junc Fowler st.